The NAS Building is open 9:00 a.m. to 5:00 p.m. weekdays, it is closed weekends and holidays. 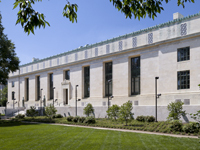 Dedicated in 1924, National Academy of Sciences Building is on the National Register of Historic Places. The Albert Einstein Memorial, unveiled in 1979 to commemorate the centennial of the great scientist's birth, is located on the Academy grounds. The Keck Center houses more than 1,000 employees and is the primary site of National Research Council meetings. The National Academies Press Bookstore is located on the first floor. The building’s art exhibits are open to the public by appointment, and it is also the site of public lectures and other events. 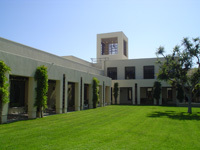 The Arnold and Mabel Beckman Center is an award-winning conference center situated on seven acres bordering the cities of Irvine and Newport Beach. 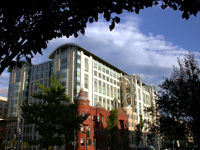 The Center hosts meetings of the NAS and the NRC. Meeting space can be reserved by outside groups. 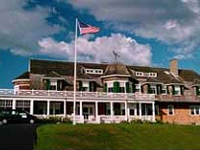 The J. Erik Jonsson Conference Center is a year-round conference center located on Cape Cod. The historic property provides magnificent views of Quissett Harbor and Buzzards Bay. Meeting space can be reserved by outside groups.